This is Randall authorized dealer Doug Kenefick's large guarded design dealer special and is serial # 528. 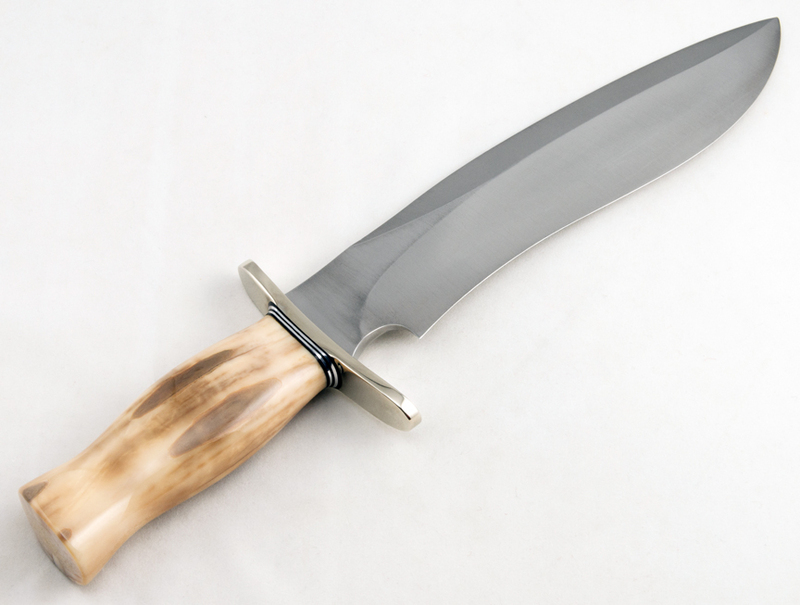 This Sasquatch features a 11" blade forged from 3/8" stock and features a forward curved nickel silver hilt with aluminum and black spacers. 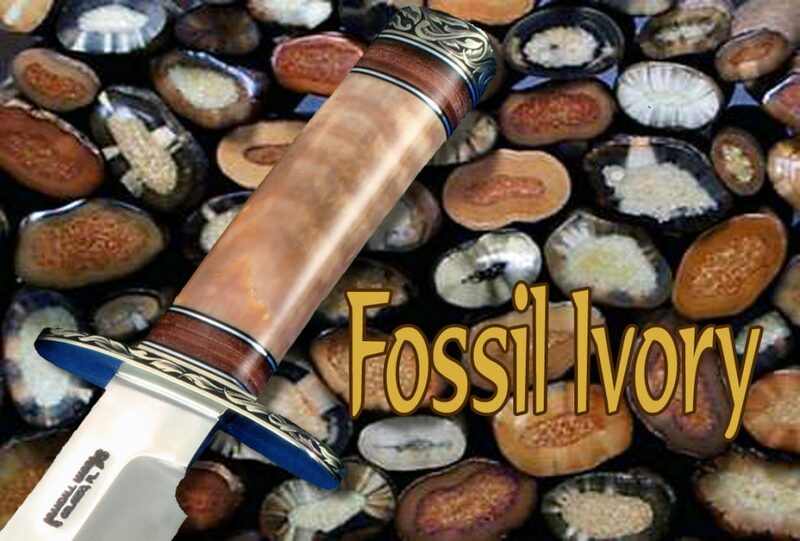 The commando shaped handle is crafted from a 10,000 to 12,000 year old, beautifully colored piece of fossil Walrus ivory. 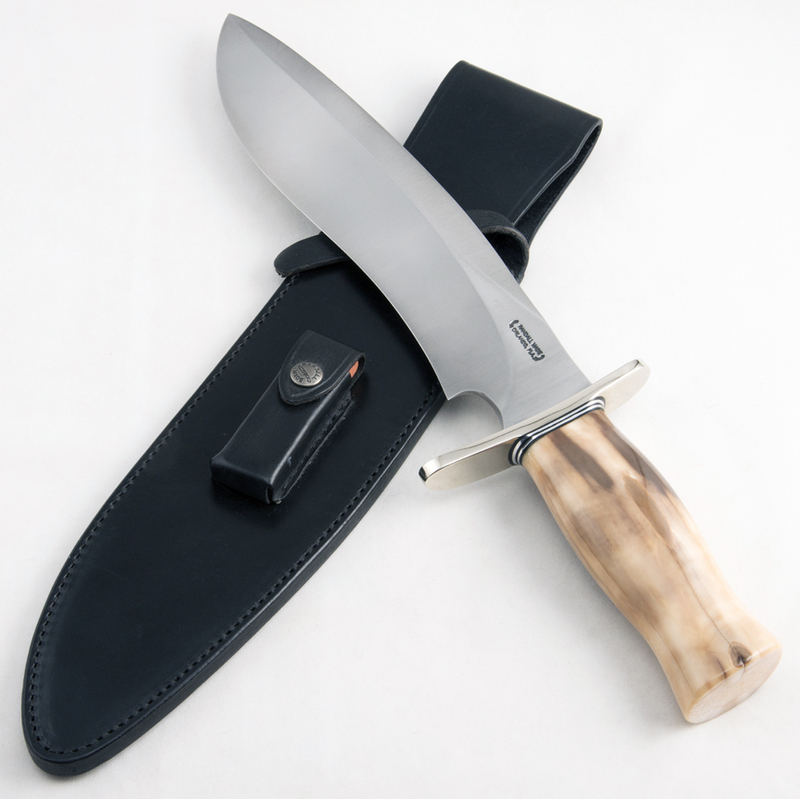 Furnished with a black Randall model "A" sheath signed on the back by Doug Kenefick.